WaiOra Lakeside Spa Resort. New Zealand’s only Cultural Destination Spa Resort. 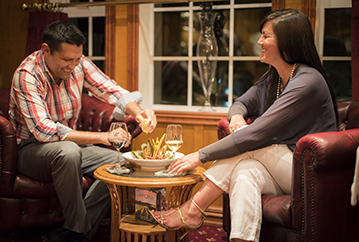 Stay and indulge yourself in our 4.5 star luxury, lakeside Rotorua accommodation. Dine onsite in our award-winning Mokoia Restaurant where you can experience the essence of Pacific Rim cuisine and a newly introduced Grill theme in Rotorua. Our menu is refined, using indigenous herbs and spices in a contemporary fine dinning atmosphere. After a long day of exploring Rotorua, pamper yourself in our internationally acclaimed WaiOra Day Spa with complimentary use of jacuzzi's, plunge pool, kawakawa infused sauna & steam room. 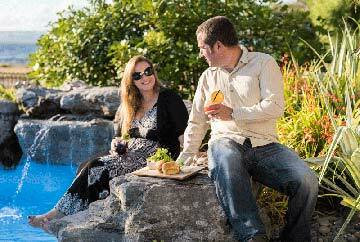 Make your Rotorua accommodation experience a memorable one, at the WaiOra Lakeside Spa Resort. 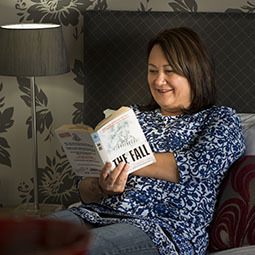 Let time stand still and the pressures of the world dissolve as you relax and enjoy your 4.5 star Rotorua Accommodation. You will love our beautifully appointed Rotorua hotel facilities at Rotorua's only lakefront hotel, set on the shores of Lake Rotorua. The Wai Ora Lakeside Spa Resort has all of the trimmings that you would expect of a Qualmark rated 4 star plus Rotorua hotel. Indulge yourself with 24 hour room service, access to our hot pools, sauna and spas all set on 2.5 acres of extensively landscaped grounds. The Wai Ora Lakeside Spa Resort offers peace and quiet that is normally only dreamed of. 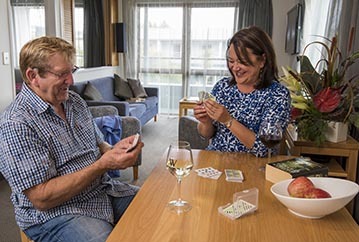 Let us make your Rotorua accommodation experience a very special and memorable event. Looking for the best Rotorua restaurant? The city of Rotorua offers many Rotorua restaurant options. 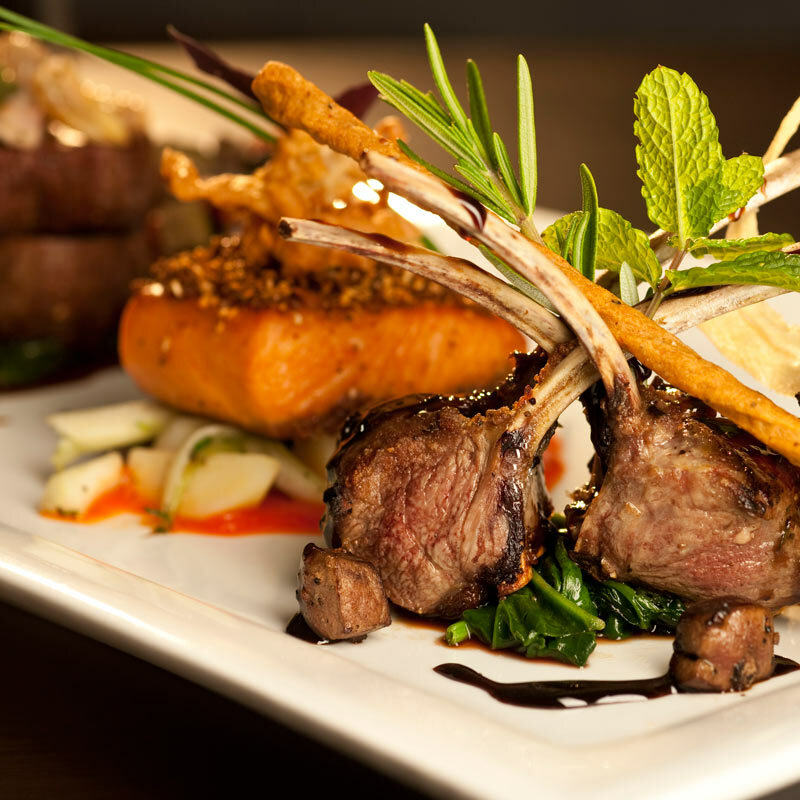 However, none are quite the same or offer the exquisite New Zealand cuisine that you'll find at Mokoia Restaurant. Mokoia Restaurant is the only Rotorua restaurant that specialises in the use of indigenous New Zealand herbs and spices. We source local, quality produce to offer a unique Rotorua dining experience that will appeal to and satisfy any food enthusiast. True fine-dining, pacific-rim style infusion cuisine. Our luxury Rotorua Spa specialises in therapies using the famous geothermal muds of Rotorua and massage therapies based on the healing practices of the Maori. 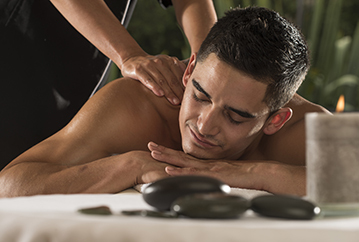 This unique Rotorua Spa is perfect for relaxing and rejuvenating your body. Experience a Wai Ora traditional massage based on the healing technique of Miri Miri massage and the geothermal mud therapies that Rotorua is famous for. Alternatively, enjoy a manicure at our award winning Rotorua Spa, a luxury spa pedicure or a steaming herbal sauna. Our Spa offers nine therapy rooms including two couples’ rooms complete with private dining and private spa pools. Just like our 4.5 star Rotorua Accommodation, Wai Ora Spa is a quality, Rotorua experience. Wai Ora Lakeside Spa Resort is Rotorua's newest boutique, fully featured conference venue. 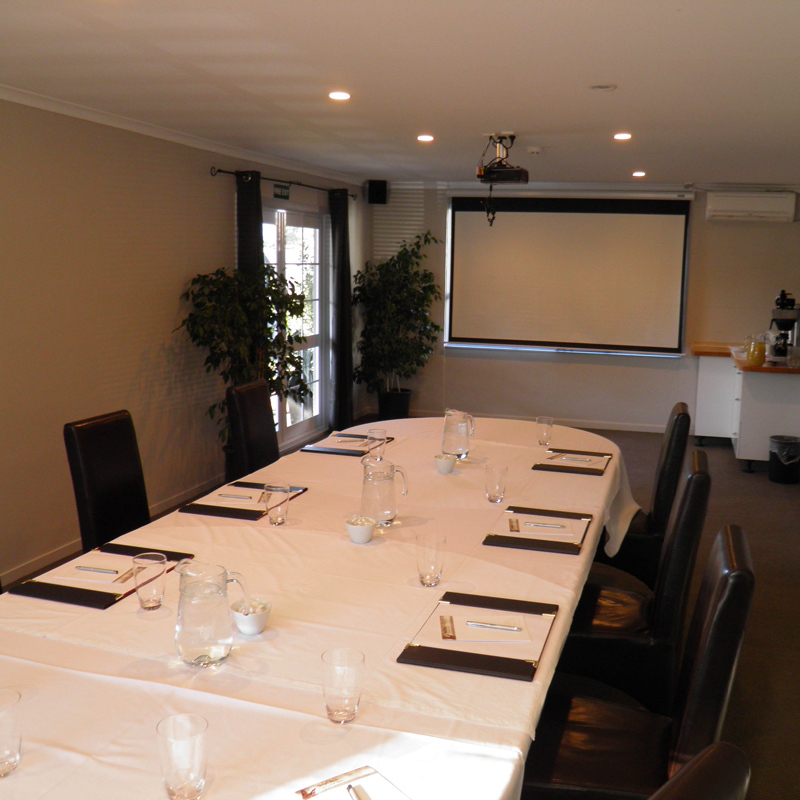 Situated just 5 minutes from the Rotorua International Airport, the central yet quiet location makes it the perfect venue for one day seminars, product launches or corporate conferences. Conference Organisers have the option of utilising the our full Resort facilities. As well as our superior Rotorua accommodation options, we offer unique resources such as buses and boats to help create that special event in Rotorua. This is why the Wai Ora Lakeside Spa Resort is one of New Zealand’s favorite accommodation & conference venues. The Lovers Delight package includes 1 night’s Deluxe Studio Accommodation, Welcome Drink for two on arrival, 3-Course A La Carte Dinner for two, A La Carte Cooked Breakfast for two, Half Hour Miri Miri Massages for two at the Wai Ora Day Spa, complimentary access to the spa pool and sauna area ( subject to availability ) , use of DVD movies from library, free transfers to and from Rotorua city/airport/Hells Gate on request. This special includes 1 night's Deluxe Studio Accommodation, A La Carte Cooked Breakfast for two in our award winning fine dining Mokoia Restaurant; Half Hour Massages for two in our 2014 World Luxury Spa Award winning "Wai Ora Day Spa", Bottle of Bubbly on arrival or at the spa with your complimentary Spa Platter for two and then the complimentary use of the Wai Ora Spa Water Experience with hot mineral pools, jacuzzi's, kawakawa infused sauna & steam room. This special includes two nights Superior Suite accommodation, an a la carte cooked breakfast for two in the award-winning Mokoia Restaurant, a complimentary house drink for two redeemable at the Manary Bar during your stay, one hour Wai Ora Massage for two in our 2014 World Luxury Spa Award winning Wai Ora Day Spa, Spa cuisine platter for two, and also the complimentary use of the Wai Ora spa water experience with the Kawakawa infused sauna, steam room and hot spa pools.